_ Scian Carter Crelia was born May 25, 1845 in Van Buren, White County, Tennessee. According to the 1860 United States Federal Census, he is found living in Prairie Township, Carroll County, Arkansas with his adoptive family, the Solomon Alvin Reece (1805-1860) family. In November of 1861, in the state of Arkansas, a sixteen year old Scian Carter Crelia, enlisted to serve in the Arkansas Confederate Army, Company A, Major J.W. Copper’s Battalion, Brigadier General Stand Watie Division of the Cherokee Department of the Indian Nation of Mounted Riflemen. According to the American Civil War Prisoner of War Records, 1861-1865, Scian Crelia was captured by Federal troops and imprisoned. As indicated by Scian Carter Crelia’s Confederate Pension Application dated January 3, 1910, he served four years in the American Civil War and surrendered June 4, 1865 in Jasper, Newton County, Arkansas and was then paroled. After the conclusion of the American Civil War, Scian Carter Crelia married Sarah Ann (Wilmoth) Lucas of Tennessee born August of 1844. The couple were married in Franklin County, Arkansas in the year 1869. Sarah Ann (Wilmoth) Lucas, a widow, brought two children from a previous marriage into the Crelia family. Scian Cater Crelia and Sarah Ann (Wilmoth) Lucas had eight children during their life together. The 1880 United States Federal Census records the Crelia family living in Precinct 4, Hunt County, Texas. In 1900, according to the United States Federal Census, the family lived in Justice Precinct 1, the Wright Community, Parker County, Texas. Sarah Ann (Wilmoth) Lucas Crelia succumbed to pneumonia and died January 2, 1908. 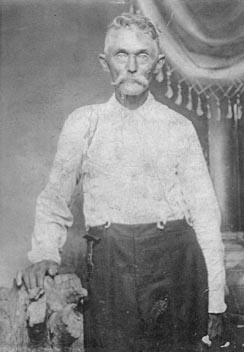 Scian Carter Crelia, American Civil War veteran, and pioneer farmer, died February 24, 1919, at the home of his son, Lucian Alvin Crelia, in Fannin County, Texas. 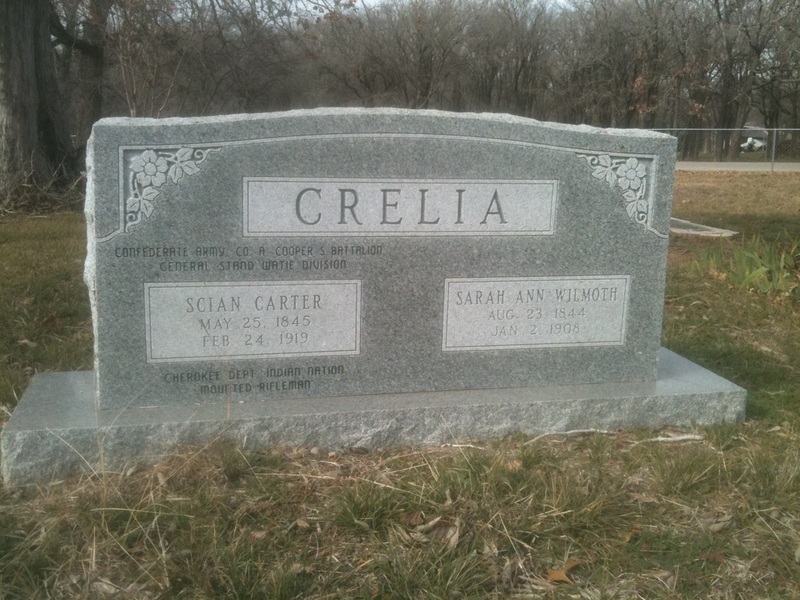 Scian Carter Crelia and his wife Sarah Ann (Wilmoth) Lucas Crelia are buried in the family plot at Clark Cemetery.